Full exemptions from tuition fees are offered to international students who enroll in the 1st year of International Politics and Markets curriculum. The University of Bologna offers study grants to International Students: Unibo Action 1 and 2. Students’ mobility is fostered by various international opportunities offered by Erasmus+ programme, Overseas programme, bilateral agreements with academic institutions worldwide, such as Peoples Friendship University of Russia. Private companies, trading associations, international organisations such as the European Union and the United Nations, international civil organisations, Think tanks and research institutes, communication companies, non-profit organisations. - first cycle degree (bachelor level degree) in one of the following subject areas: anthropology, communication, culture, demography, economics, philosophy, geopolitics, law, literature, languages, political science, psychology, sociology, history, gender studies. - have adequate personal competence and skills. International Politics and Markets (IPM) is a curriculum of the second cycle degree programme in International Relations and Diplomatic Affairs aimed at preparing experts able to analyze the relationship between states and markets, both nationally, through comparative studies, and internationally. It provides an interdisciplinary knowledge in subjects such as international trade, international finance, global markets and political risk, enriched by qualified foreign language skills and by a training experience in private companies. SID-IPM allows graduates to interact with private business firms, particularly those operating in the framework of international markets. Bologna is the most ancient University in the world founded more than 900 years ago in 1088. The School of Political Sciences is a recent institution that combines a tradition of excellence with a commitment to improving teaching methods on the basis of high standards of quality assurance. The School has 3 campuses in Bologna, Forlì and Ravenna. The School offers five first-cycle programmes (bachelor level) three of which are taught in Bologna and two in Forlì; and ten second-cycle (Master level) programmes, five of which are taught in Bologna, four in Forlì and one in Ravenna. 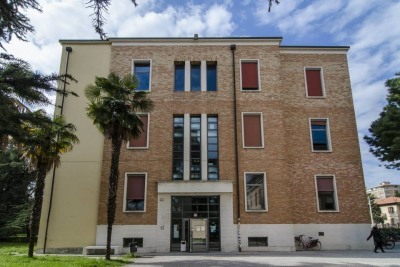 Of these programmes, one is an international course taught entirely in English (MIREES, Forlì campus) and two offer curricula taught entirely in English (International Relations, Bologna campus and International and Diplomatic Sciences, Forlì campus).